Report RSS	Arkanius - Skills Demonstration..
Ugh it looks so good. I want to play already! I'll buy on release day for sure. 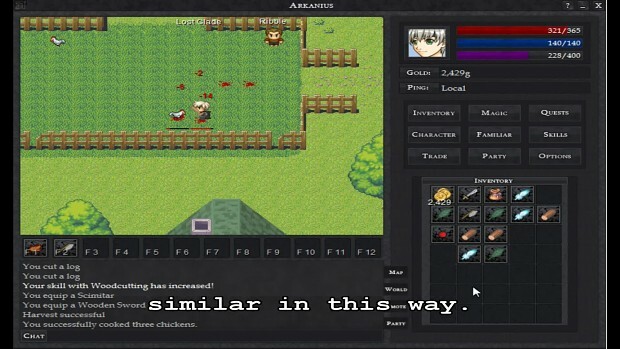 This video demonstrates some of the skills within Arkanius (an Indie Retro-Styled 2D Fantasy MMORPG in development) including cooking, mining and harvesting.